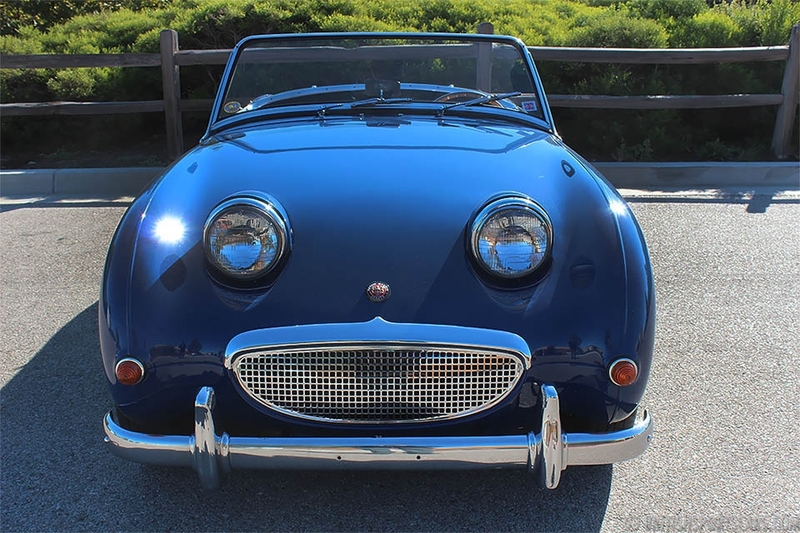 We are pleased to offer this 1959 Austin-Healey Sprite "Bugeye" for sale. This is a long-time local car that we have known for well over twenty years. This Bugeye has been very well cared for over the years. We have service records that date way back, including one in 2015 for just under $12K in repairs which included a fully rebuilt engine. The car has a modified 948cc engine that runs very strong. It's been updated with the desirable ribbed-care transmission and disc brakes on the front. This is an excellent driving car that needs nothing. Cosmetically, it's very pretty and needs no work. The is a really solid Sprite that someone can jump in and have lots of fun. Please feel free to contact us with any question you have.